The Tanoshiboy Chronicles: Design & Illustration Blog: How does it feel, bub? How does it feel, bub? Originally, I was going to skip the mask because I like Wolverine without it, but the mask has been growing on me lately. 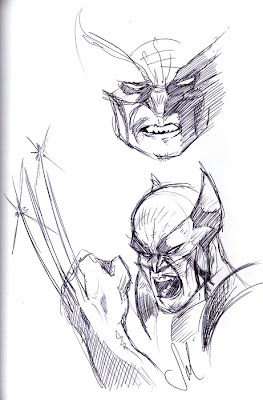 Wolverine is just one of those guys that just shouldn't wear a mask, but what the hell. So here is the ole' canucklehead.